Some Mac users like to perform a clean install when a new operating system is released. Usually this is reserved for more advanced users, as a clean install means the hard drive is formatted and completely erased, removing the existing Mac operating system, and erasing all contents, data, files, applications – everything from the Mac is completely removed. This allows the new macOS High Sierra installation to be blank, kind of like if the computer were brand new, thus the name “clean install”. Users who opt for clean installations of macOS usually perform extensive manual file backups and then copy their important data over after the installation is complete, and then they must manually install all their applications again. This tutorial will walk through how to perform a clean install of macOS High Sierra (10.13+). Important note: A clean install requires the Mac hard drive to be erased, meaning all data, files, photos, movies, apps – everything will be erased from the computer. Additionally, performing a clean install can be a cumbersome and time consuming process that involves a lot of manual intervention with app installs, manual data backups, and then specific data restoration, which is why most users avoid the clean install process and simply choose to update and install macOS High Sierra as usual. A clean install is best used for specific reasons by advanced Mac users who have the capability and patience to perform these actions competently. Any failure to sufficiently backup data will lead to permanent data loss. We’ll break up the clean install process into five main steps: backing up the Mac and all important data, creating a bootable installer drive for High Sierra, erasing the Mac, running through the MacOS High Sierra installer onto the freshly blank drive, and then manually restoring your data, apps, and files. This is usually a lengthy process that should not be taken lightly and without a proper time commitment. Remember that performing a clean install erases everything on the Mac. Literally every single thing will be erased; all data, all files, all applications, all photos, all movies, every single thing on the computer will be erased. Thus it is critical you backup your important data first. How you do this is entirely up to you, but it must be done. Before performing a clean install, it is a good idea to perform two types of backups: a complete system backup using Time Machine on the Mac or something similar. Additionally, you will want to perform a manual backup of all of your important files, application installers, photos, videos, and personal information, by either coping that data to an external hard drive, or to iCloud Drive, or DropBox, or your manual file backup method of choice. Do not skip backing up your data before going further. You will lose everything on the computer by formatting and erasing the hard drive. If you skip a backup, the data will be completely unrecoverable. The advantage to performing a manual backup in addition to a Time Machine backup is that if you decide that a clean install is far too great a burden to manage you can just restore from the Time Machine backup. Seriously, do not skip making those backups. You will need to create a bootable macOS High Sierra USB install drive if you haven’t done so already. This is so that you can boot from the installer drive, format the Mac, and then perform the clean install. Follow the instructions here to make a bootable installer for macOS High Sierra. You will need a 16GB or larger USB drive, and the complete macOS High Sierra installer from the App Store. After you have made the High Sierra bootable installer, you can proceed with the next step of formatting the hard drive. With the MacOS High Sierra boot drive connected to the Mac, reboot the computer and hold down the OPTION / ALT key until you see the Startup Manager screen. At the boot drive selection, select the macOS High Sierra installer drive. At the MacOS Utilities screen, choose “Disk Utility”. Once the drive has been formatted, quit out of Disk Utility which returns to the macOS Utilities screen. Back at the macOS Utilities screen, choose “Install macOS” to install a new copy of macOS High Sierra. This will be the clean macOS install onto the freshly erased hard drive. Click on “Continue” and navigate through the installer screen, selecting “Macintosh HD” (or whatever your hard drive is named) as the destination for macOS High Sierra to be installed on. If you have an SSD equipped Mac, you’ll want to use AFPS file system which offers performance benefits, whereas other hard disk types won’t have AFPS available yet as an option until a future macOS High Sierra update. Let the macOS High Sierra installation complete. When it is finished, the Mac will reboot and go through the standard setup procedure as if the computer was brand new. Enter your Apple ID, user account creation information, setup iCloud, and when complete with the setup you will be on a completely fresh and clean installation of macOS High Sierra. Now the fun part… you get to manually restore your important files, data, and reinstall apps that you want on the clean macOS High Sierra installation. Most users who opt for clean installs will just copy files over directly from an external drive or cloud drive service, but you can do whatever method you want. As for reinstalling your apps, you will likely be downloading many of them from the Mac App Store, downloading them again from the developers, and perhaps restoring others from your manual file backup made in the first step. File and app restoration can take a while. And that’s it, once you’re all setup with your apps, files, and data again, you’re on a clean installation of macOS High Sierra! What is the point of a clean install? Why bother with a clean install of macOS High Sierra? Some users may be wondering what the point of a clean install of macOS is. The main objective is usually to start fresh, without any accumulation of old and outdated data, any prior data, files, settings, preferences, unwanted apps, or holdovers from ancient updates or long gone software. Sometimes a clean install can offer the best performance for a Mac, and thus some users will perform a clean install for performance reasons. Much like when you buy a brand new Mac it feels quite fast, a clean install can offer a similar feeling sometimes. Rarely, a clean install is necessary to overcome some dramatic software update failure or colossal mishap during a system software update (like an interrupted installation or a corrupted hard drive). This is pretty unusual but it can theoretically happen with situations like a power outage during a system software update, or a user erroneously removing critical system files or components, or similar catastrophic errors involving the core macOS system software. The main reason to not perform a clean install is the potential for a hassle. It’s obviously a lot of work to thoroughly backup all of your data manually, and then to format a computer, manually restore your files and data, then re-download and reinstall all of your apps, it can take many hours to complete this process if not nearly an entire day to get your computer back to where you want it to be once all is said and done. Thus, the clean install process is really only best for committed users with advanced skill sets that don’t mind the burden or nuisance of recreating their digital workstation flawlessly and without data loss. 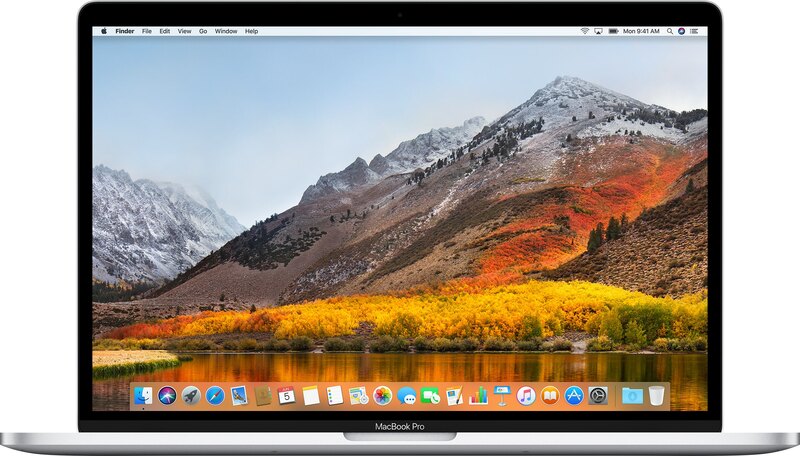 It is infinitely easier to use the normal macOS High Sierra download and installation process, and that approach is best for the vast majority of users. Do you have any tips, tricks, commentary, or experiences with a clean install of macOS High Sierra? Let us know in the comments below!